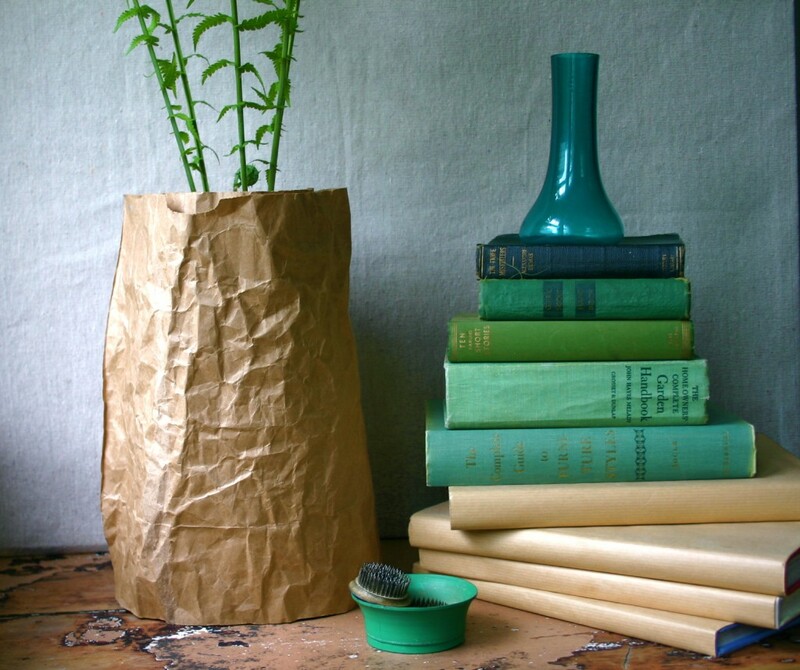 A simple paper bag wrap covers the pot of an ostrich fern. I love the texture of the paper and the dramatic look of the leaves. I love to decorate with perennials. I picked up an ostrich fern at my local garden center for about $11.00 and wrapped it in a wrinkled grocery bag (the same bag I used to make the runner for my table last week). I just cut the paper bag down the side and cut out the base so it could lay flat. I wrinkled it up and wrapped it around the pot – stapling it shut where the ends meet. Set pot on a dish and wrap bag around it. U bet it sure can be simple! looks great! thanx for shring. This bag idea is elegant. I’ve seen vases in Italy that have been made to look as if they were paper. At first glance, I thought that this was one of them!